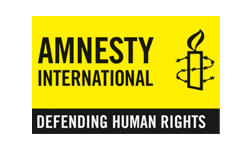 ​Want to be at the cutting edge of investigating international human rights abuses? This workshop, by Amnesty’s Milena Marin, is designed for human rights activists, journalists, techies and students who want an introduction to this fast-developing field of open source investigation and digital verification. Milena Marin has ten years of experience working at the intersection of technology, data and social good. She is currently working with Amnesty International, leading Amnesty Decoders – an innovative platform, engaging tens of thousands of people in processing large volumes of data such as satellite imagery, documents and pictures for human rights research. Limited places: registration is required. If you register and then cannot attend, please unregister and let us know ASAP so that someone else can take your place. Please bring a laptop if possible. You may also wish to attend the event immediately prior to this: Beyond clicktivism: using tech to expose human rights violations, which runs in the same venue 12:30pm – 1:30pm.